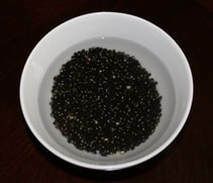 ﻿﻿U﻿﻿rad dal khichidi is delicious. 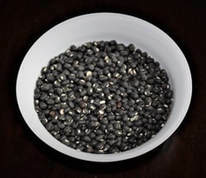 It is also known as Black urad dal or black grams khichdi. 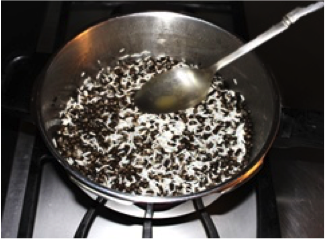 It is a no fuss dish, very simple, flavorful and without the complexity of too many spices. Urad dal khichdi is one complete dish, served with plain yogurt, choice of pickle and grated muli (white radish) sprinkled with lemon juice. 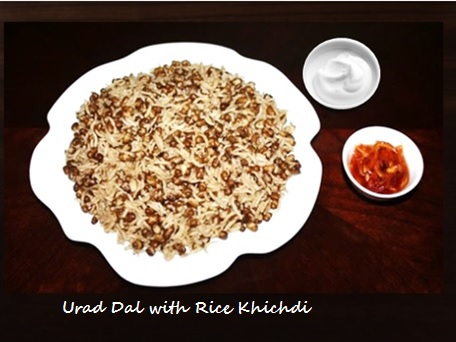 On Sunday evening when you do not want to cook big dinner or lunch but want to eat something nutritious and simple, whole urad dal khichdi is a great option. 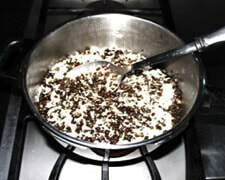 2 Tablespoons melte butter or Ghee. 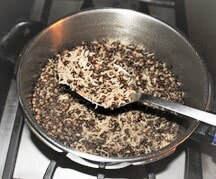 When cooking whole Urad dal khichdi first cook whole urad dal for 10 to 12 minutes, turn the stove off when pressure of cooker goes down open the cooker then add rice and cook for 1 minute because dal take longer to cook then rice. 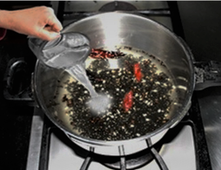 appears clear, and then soak it in 2 cups of water for 30 minutes or longer. 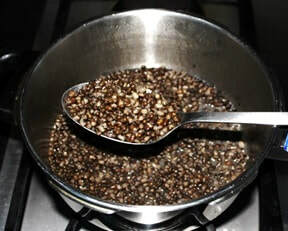 and asafetida and fry for 2 minutes or until cumin seeds become brown. 6. 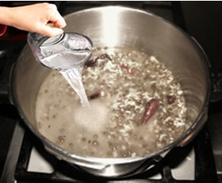 Add soaked dal, 1 teaspoon salt and 2 cups of water and mix. 10 . 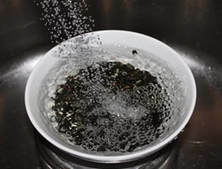 Wash the soaked rice and drain the water out. 11. 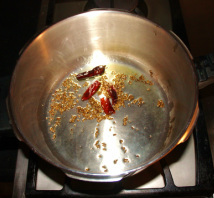 Add soaked rice in the pressure cooker with the cooked dal and mix gently. 12. 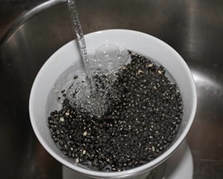 Add ¾ cup of water and mix, there is already some water in the dal. down and cook for 1 minute, turn the heat off. 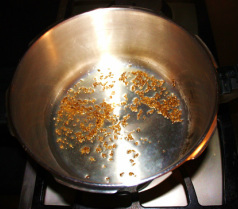 khichdi stand for 5 minute before serving. 16. 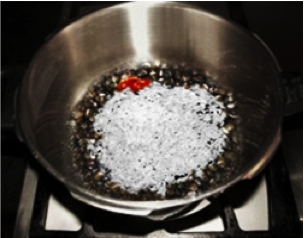 When ready to serve with a fork gently fluff the khichdi. worry cook khichdi in pressure cooker.